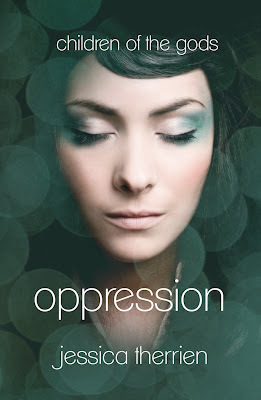 “Oppression” by Jessica Therrien was way better than I was expecting. I am very picky about my Greek mythology books so I was trying to prepare myself, so that I wouldn’t be too disappointed however I was surprised how much I liked Therrien’s story. I think Therrien had a great idea that she portrayed really well. Elyse has always had a secret. She ages slower than the average person and she has a special healing power. Growing up, she has always kept these things a secret until she is approach by some people who know who she is and what she can do. Elyse ends up meeting people who are like her except that they have different powers. As Elyse begins to discover who she is and where she came from, she also deals with her best friend on the verge of dying. Then there is a mysterious prophecy that says Elyse will help start the next war among her people. Elyse has very important information to discover and decisions to make. “Oppression” is such a great book. I really liked how well written and fast paced it is. The characters are great. I think I fell in love with William right away. Have you ever met a more swoon worthy boy? William is all about trying to protect Elyse. He wants to keep her safe. William believes in the prophecy but he is also in love with Elyse. Elyse isn't as strong as a female lead character as I would have liked, but she is still a very likable character. I look forward to the second installment of "Children of the gods." I want to see William's and Elyse's stories continue. Great job on your debut novel Jessica Therrien. I give "Oppression" four out of five bookshelves.